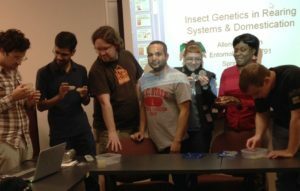 Since 2010 when Allen Cohen joined the Entomology Department at North Carolina State University as a research professor, he has taught 4 face-to-face classes in insect rearing (a graduate seminar, and 3 lecture and lab classes). 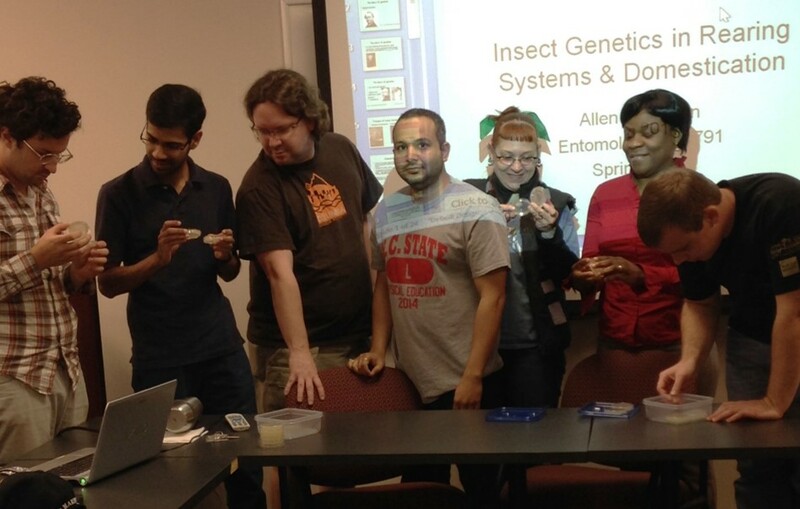 He has also taught two workshops in insect rearing and insect diets. We are currently working on making An Introduction to Insect Rearing a regular part of the elective Departmental curriculum. 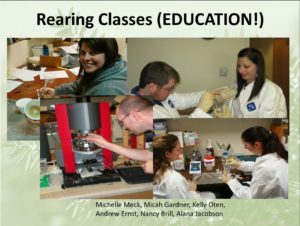 The on-site rearing courses had received very high praise from nearly every student who has taken these offerings, and students especially appreciated the “know your insect” approach to rearing and the emphasis on treating rearing as a science with rigor and cross-disciplinary emphasis. As potential workshop participants express their interest, we plan on offering new workshops on such topics as Process Control in Insect Rearing, Dynamics and Basics of Insect Diets, and possibly other topics that are enriched by on-site activities of members of the rearing community. 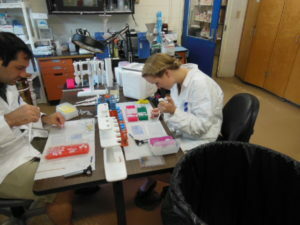 Please see further details in future Posts at this site. 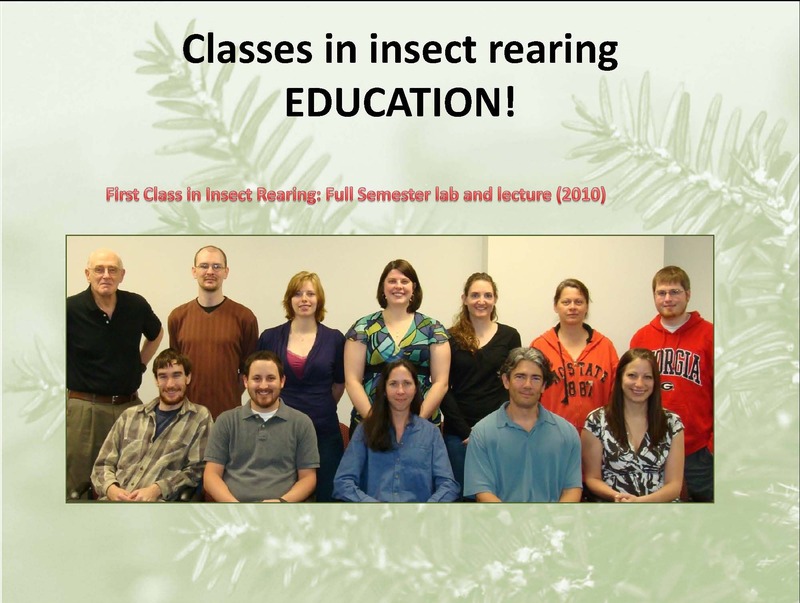 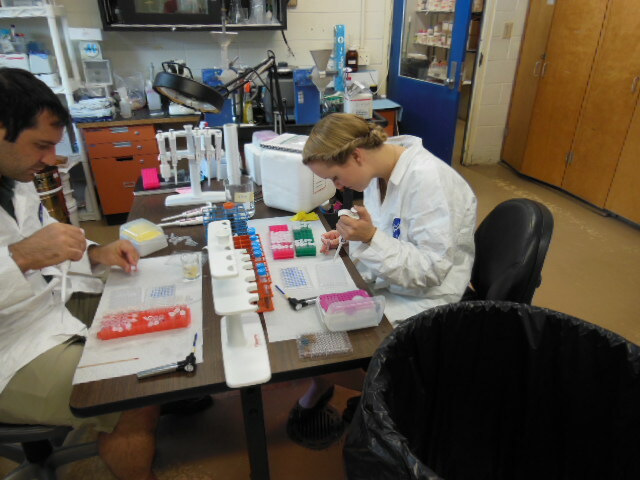 Former students in the insect rearing courses (David Bednar and Mary Talley).